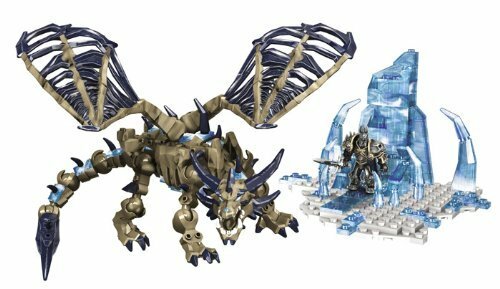 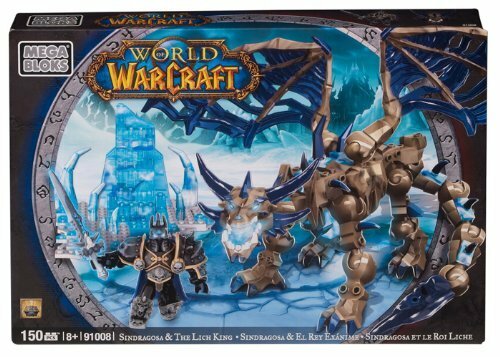 Swoop into battle with the Mega Bloks World of Warcraft Arthas and Sindragosa play set. 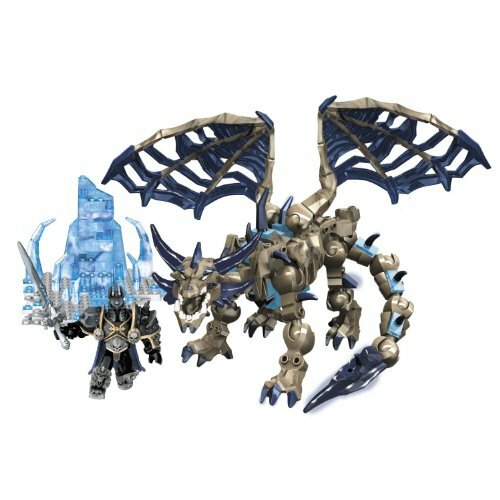 Collect the notorious Arthas, also identified as the Lich King, with his infamous armor set and Frostmourne sword as he sits upon his buildable Frozen Throne. 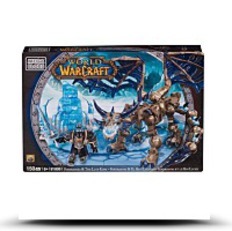 A random loot drop - armor or weapons - is also included to add to your collection! 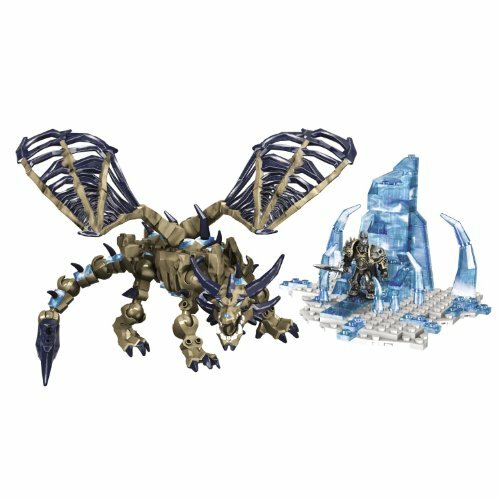 Build and customize the iconic Sindragosa as she overlooks the frozen kingdom.